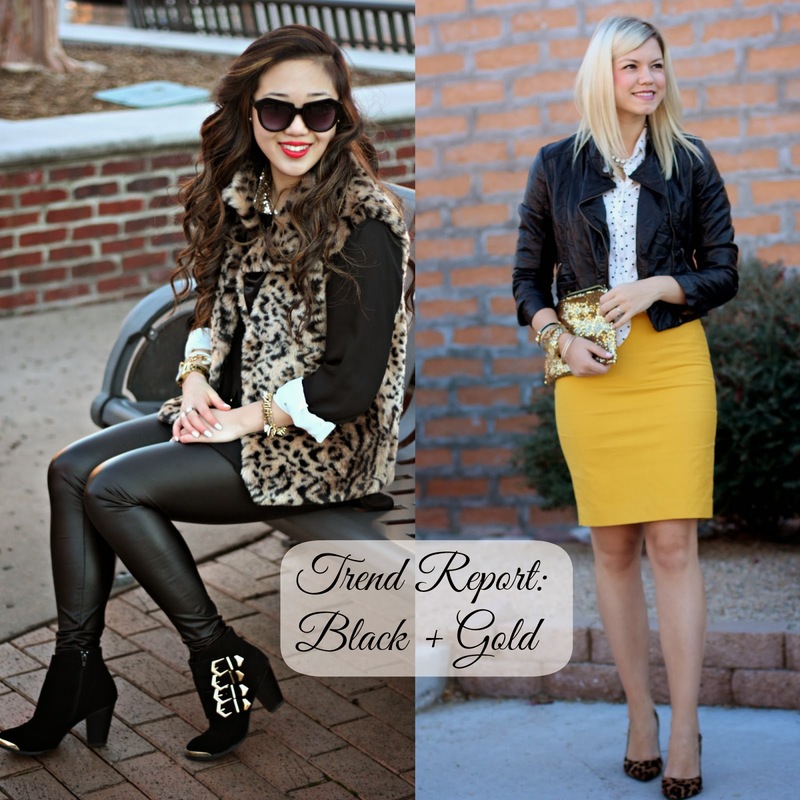 Today, I am teaming up with Elle from Living in Color Style to show you how we style the black + gold combo. I'm a sucker for leather so I just love how Elle and I both opted for faux leather leggings and a leather jacket. Great minds think alike, right? I just adore Elle's style and the way she styles her looks. Everything looks so crisp and well-put together. 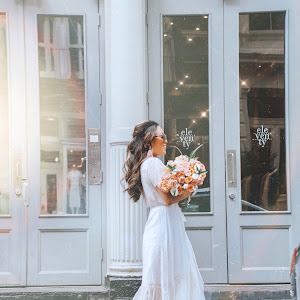 I've been keeping up with her on instagram and I couldn't be more excited to be collaborating with her today. It was absolutely freezing that day and when Ginger offered to lend me her faux fur vest, I couldn't say no. Basically, I'm layered up in two chiffon blouses, a vest, and even faux leather leggings. B R R is right.